It is with both excitement and a heavy heart in which I pack for Austin, Texas to attend the Google Teacher Academy next week. And while my #GTAATX cohort is filled with talented educators, uniquely adding their own passions to the mosaic; I can’t help but think of the one influence in my life that will never get the chance to celebrate this experience with me, Jack Moore. Fifteen years ago, I started my teaching career in a small school in central Iowa, BCLUW. As I struggled through the first couple years, as most new teachers do, I found my love for the students, families, and staff members grow. I knew I was where I belonged. 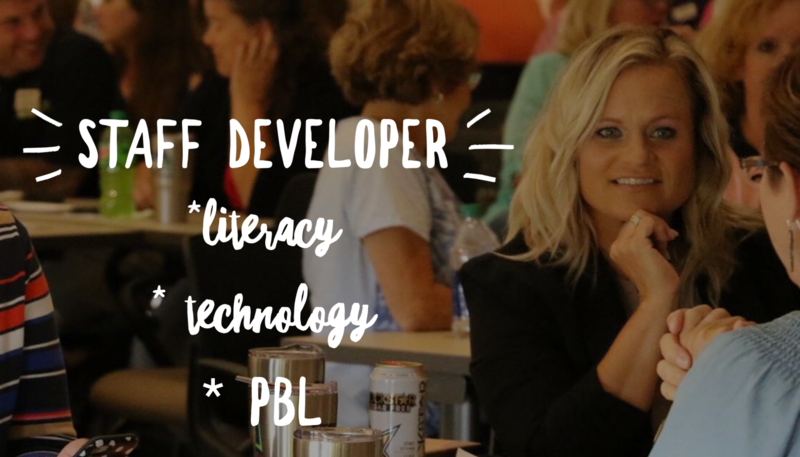 I never considered myself a tech savvy teacher, but a shared vision ignited by the district’s technology director (Jack Moore), would forever change my career path. And for this, I am grateful. As I started year six in my career, BCLUW became the fifth school in Iowa to provide laptops to students. A 1:1 environment, enhancing the educational ecosystem, providing rich opportunities for collaboration and creativity; and as an educator, reflecting, refining and evolving to maximize ubiquitous technology. The leadership in the district, the culture to support risk-taking, and the educators I have met along the way have all defined my journey. And while each person has played a special role in defining the educator I am today; Jack Moore is in need of special gratitude. Unfortunately, his untimely death this summer doesn’t afford me opportunity to thank him in person (but I know his soul is smiling down). So it is with all of you that I share this letter to Jack! Well friend, can you believe it? This week I will be in the Google Offices in Austin, learning, growing, and sharing all things Google and Education! I wanted to take a moment to personally thank you for helping me achieve this goal of becoming a Certified Google Teacher. Sharing a new tool, ordering equipment to support my student projects, unblocking hate sites to recognize fallacies in hate rhetoric, to filming the song exchange with our friends in Sweden; I thank you. Never one to criticize, demand, or find fault in my ideas that failed; I thank you. Celebrating the small victories as well as the large ones; I thank you. Encouraging me to follow my dreams, to never quit learning, and to embrace the potential I possessed inside to influence young people; I thank you. And finally, when time came for my career to take a different path, it was your words “Shaelynn, sometimes we need to leave good to do something great,” that provided the reassurance that I was making the correct choice. For that, I thank you! Thank you, dear friend, I will never forget the impact you have had on my life, as well as the lives of all who knew you!